Read: MP4 (inc. Apple iPhone, iPad, Android smartphones and tablets, Samsung Galaxy and Sony PlayStation), HD Video (inc. Blu-ray video, AVCHD, MPEG-2 HD and WMV HD), H.264 (AVC), H.265 (HEVC), H.263, AVI (DivX, Xvid, etc. 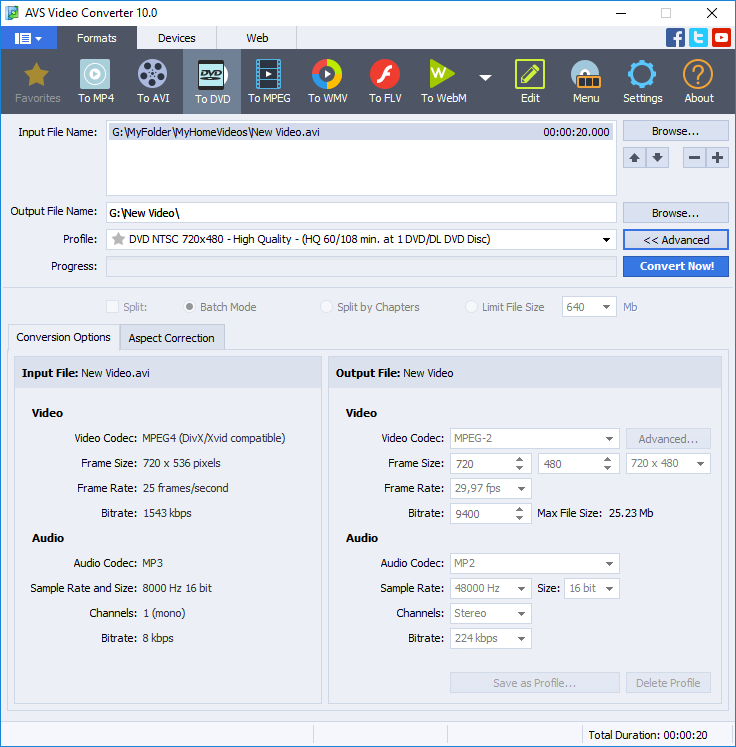 ), QuickTime (MOV, QT), MPEG-4, MPEG-2, MPEG-1, DVD, VOB, WebM, VP8, VP9, DV AVI, WMV, 3GP, 3G2, VRO, TOD, MOD, MPG, DAT, VCD, SVCD, Real Video (RM, RMVB), ASF, ASX, MJPEG, DVR-MS, MKV, OGM, FLV, F4V, AMV, MTV, TS, M2TS, M2T, MTS, DPG, NSV, FLI, FLC, CDG, PPT, PPTX, GVI, SVI, TRP, GIF, WTV. 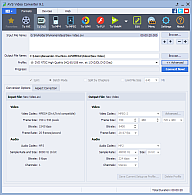 Write: MP4 (inc., Apple iPhone, iPad, Android smartphones and tablets, Samsung Galaxy and Sony PlayStation), HD Video (inc. Blu-ray video, MPEG-2 HD and WMV HD), H.263, H.264 (AVC), AVI (DivX, Xvid, etc. ), M4V, QuickTime (MOV, QT), SWF, FLV, F4V, MPEG-4, MPEG-2, MPEG-1, DVD, MPG, MJPEG, WEBM, VP8, WMV, 3GP, 3G2, MKV, MPEG1 DPG, AMV, MTV, GIF, M2TS, Real Video (RM). Convert your video to play it on Apple iPhone XS/XR/X/8/7, Apple iPad Pro, 2018, 2017, iPad Air 2, Samsung Galaxy S10/S9/S8/S7, Galaxy Note 9/8/5, Galaxy Tab S4/S3, Samsung UHD/SUHD TV, Sony PlayStation 4 Pro (PS4 Pro), Sony PlayStation Vita (PS Vita), Microsoft Xbox One, Xbox One S, Xbox One X, Sony Xperia 1/XZ3/XZ2/XZ1, XZ2/XZ1 Compact. Convert 2K QHD, 4K UHD and DCI 4K video using ultra new presets and enjoy high quality video playback on powerful smartphones, phablets, tablets and smart TV. 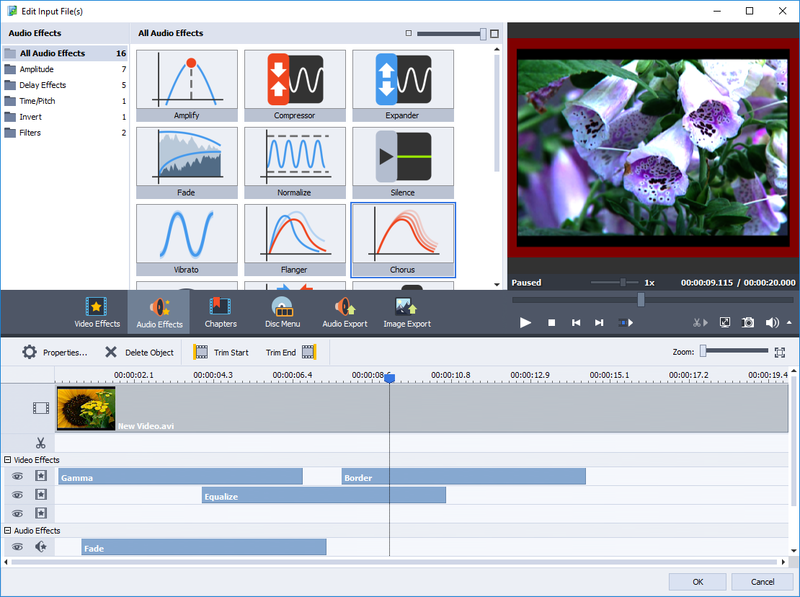 Sound: Windows 10/Windows 8.x/Windows 7 compatible sound card The non-activated version of the program has no function limitations, although the watermark banner will be placed in the centre of the output video file.